The news comes from Variety, which also reported that “Jessica Chastain is being eyed for an unspecified role.” Perhaps that’ll be a composite character of every woman in Jobs’s orbit—after all, last year’s Jobs (the one starring Ashton Kutcher) was seriously bereft of women actors who weren’t playing Steve’s mother, wife, or girlfriend. Josh Gad played Woz in Jobs, turning in a sensitive performance in which, unlike Kutcher, he didn’t sound like he was about to break down in tears at any second. The real Steve Wozniak thought the first film’s script “was crap,” although Kutcher dismissed his opinion since Woz had already signed on to consult on this new project. Besides Bale and Rogen, no other cast members have been yet confimed. Whom would you cast? 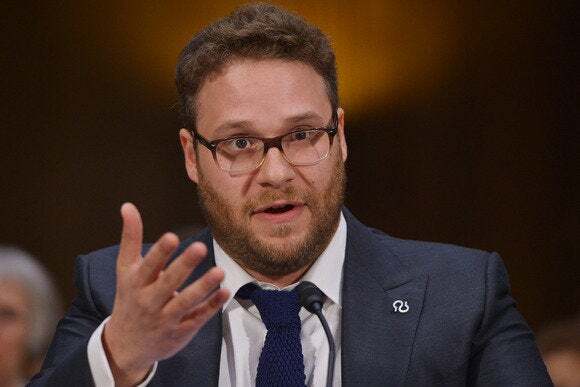 Do you think Rogen would make a good Woz?